Mission Statement: To supply quality products for all business from retail, office to industrial at the lowest prices possible. L&W International Pty Ltd established in 2003, now trading as Retail Display Direct is located in Sydney with thousands of office and display stock products ready for dispatch. Our parent company has been in business for around 30 years of time over in China in supplying all kinds of signage products and other point of sales equipment. 2007- We purchased a manufacturing facility for perspex, stainless steel products and Light box factory (AOYING DISPLAY PRODUCTS CO., LTD). So when you purchasing from us, you are purchasing directly from the manufacturer at the lowest prices. 2008- Launched the online store to supply display signage products Australia wide. 2015- Relocate to a larger warehouse in Padstow, to fulfil our expanding product range and improving our product fulfillment efficiency. 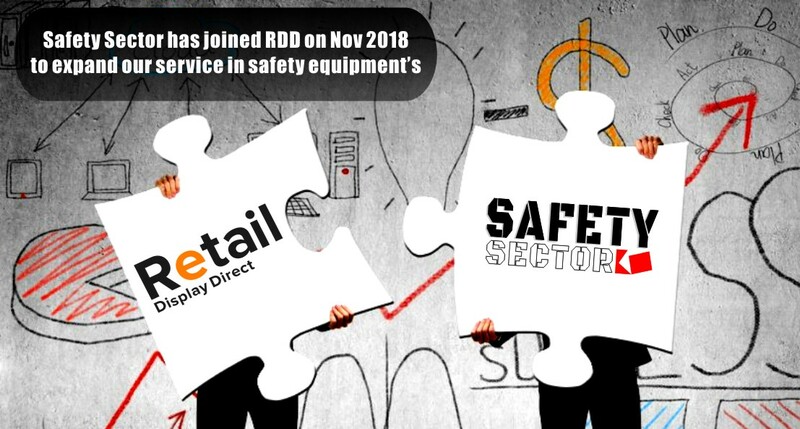 2018- Safety Sector Pty Ltd joined Retail Display Direct to further expand our range to commercial safety equipments. We have both purchasing and supplying teams in China & Australia Employing over 25 full time staffs. Deliver the best customer service with easy online checkout system, same day order fulfillment and industry leading warranty period. Keeping our quality products at lowest prices Australia wide, by purchasing in higher volumes from manufacturer and increasing our manufacturing capacity. Negotiate discounted rates with local freight companies and pass it on to our customers. Continue expanding our product range to fulfills demands.